Proofreading is incredibly important, regardless of your job or what you are doing. Whether you are sending a text, writing a work e-mail or drafting a contract, it is crucial that your message comes across as you intended. While a lot of this depends on your word choice, much if it relies on your ability to properly proofread. Missing spelling or grammatical mistakes can be very embarrassing. In extreme cases, they can also cost you a lot of money in terms of lost clients. This course gives you the basic information you need to become a more effective proofreader. It begins by discussing the importance of correct spelling and offers you a few warnings on how to search your documents for incorrect words. Next, we review a few grammatical rules and give you a few additional examples of common mistakes, as well as providing corrections. Punctuation mistakes are also explored in detail, with the corrections for common mistakes provided, allowing you to improve your own punctuation. While the human eye is best, it is possible to proofread a document using Microsoft Word. We provide you with a bit of guidance to make this task much easier. 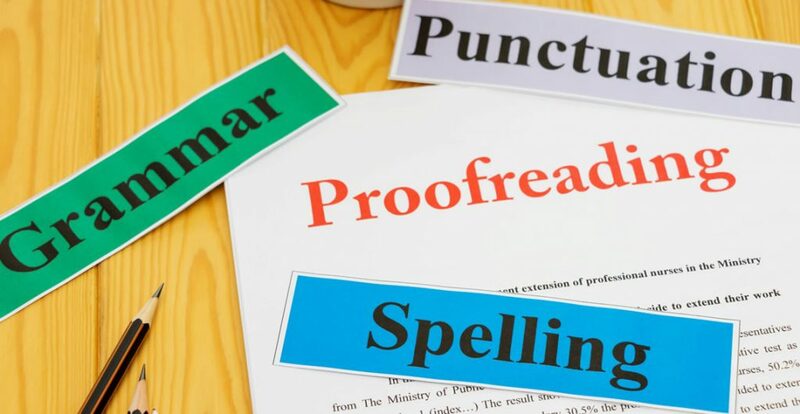 Finally, we review a few other proofreading tools that people often recommend, and we make our own suggestion as to which method is best. Who can take the Proofreading Basics Certification course? How long does it take to complete the Proofreading Basics Certification course?